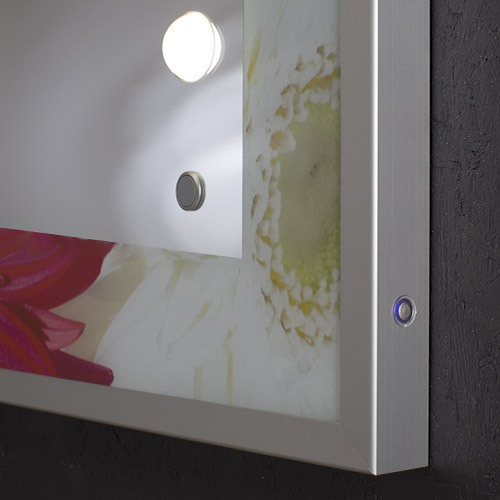 The ‘Unica’ range includes backlit panels as well as mirrors. 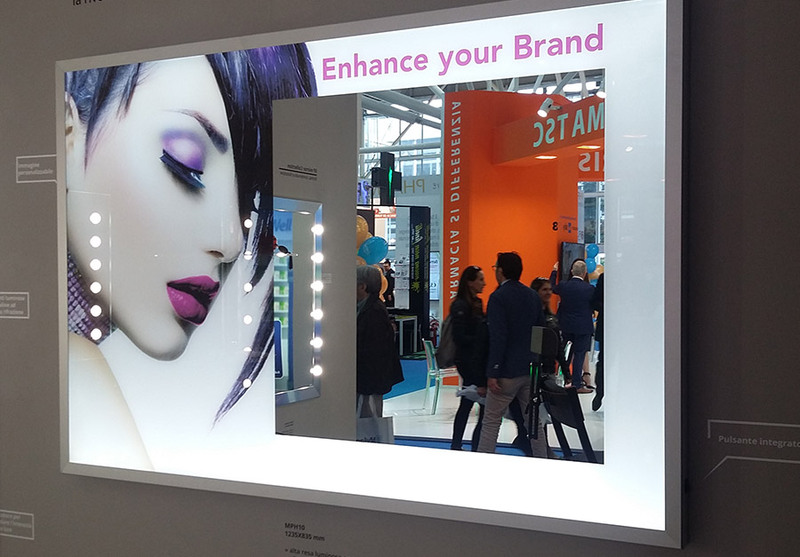 LED illuminated frames with decorative or simple profiles encompassing all of the technology needed to enhance shapes and colours. 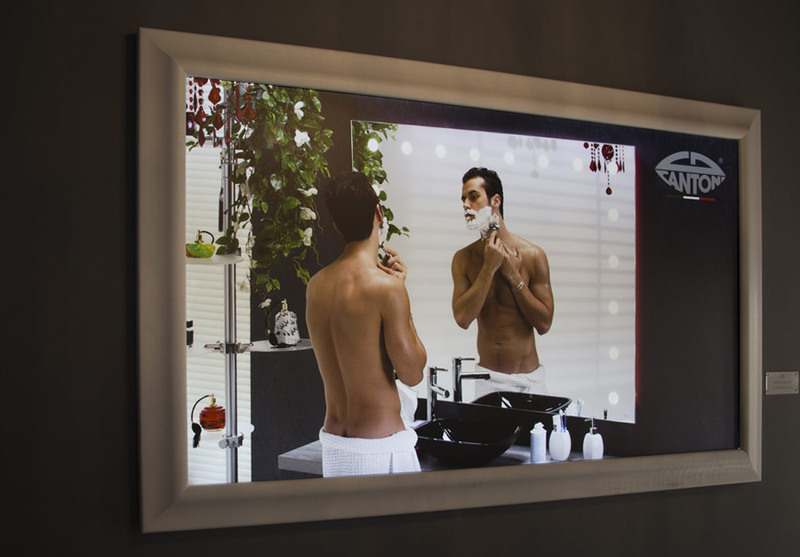 The light passes through the image, adding depth and luminosity, transforming it into a splendid decorative picture. 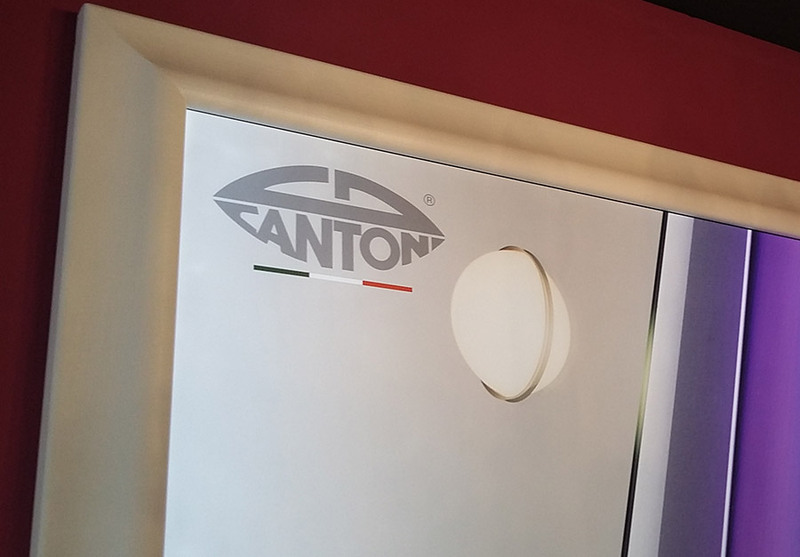 Attention to detail and Italian production quality combine with the emotional richness of colour enhanced by a light that is unique in the world to produce the Visual range of panels. 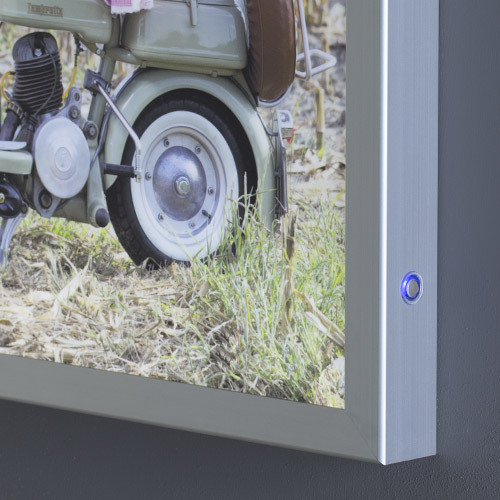 The Visual range was designed with the aim of revolutionising communication displays, but the creative potential of the backlit frame in interior decoration has been an unexpected benefit. Production flexibility, combined with the utmost reliability of the components and simplicity of use, make products from the PH, PHF and MPH collections valuable allies for any projects, whether commercial or residential. Our lighted panels are unique pieces.